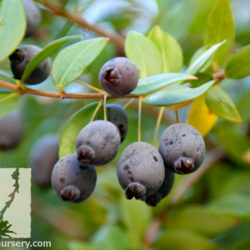 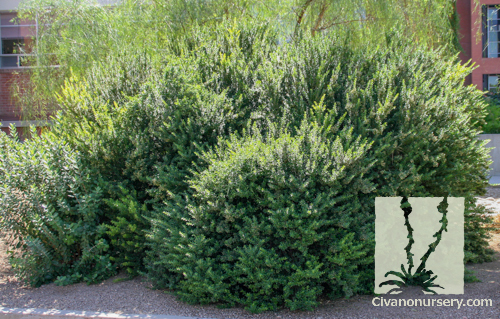 This hardy evergreen shrub has been highly valued by many cultures and cultivated for centuries. 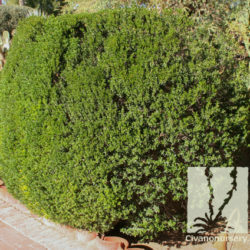 It takes very well to heavy shearing, and is often used to create a tall clipped hedge or topiary. 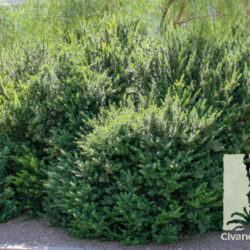 If left unclipped, it develops into a dense, rounded shrub that is useful in foundations and borders, and it also has an attractive branching pattern when shaped into a patio-sized tree. 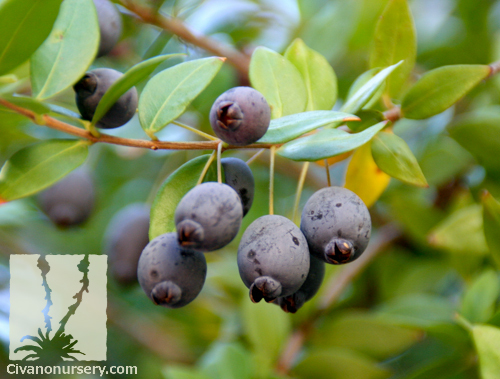 True Myrtle’s small white starburst flowers and its glossy, dark-green foliage are both highly aromatic, and it has blueberry-like fruit that is edible, but not sweet. 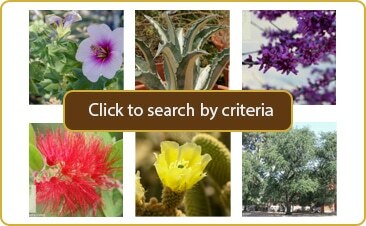 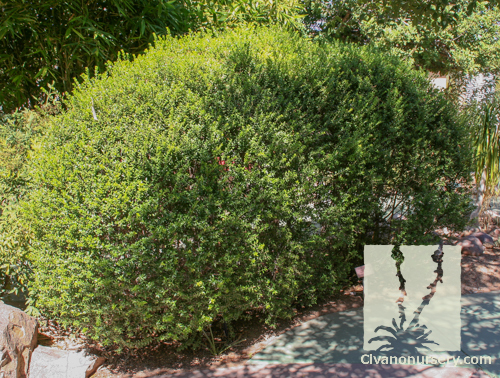 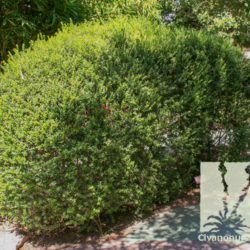 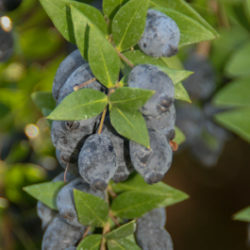 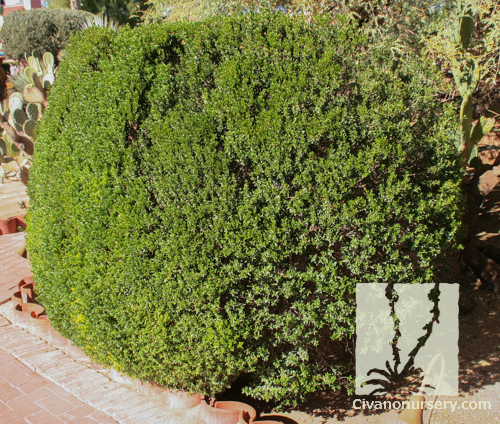 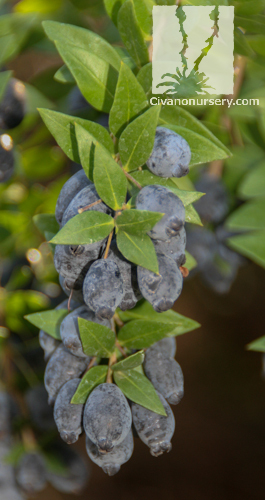 Once established, this shrub is very drought tolerant, and its maintenance requirements are remarkably low.